The Summer Olympics in Rio de Janeiro are now a few days in, and from here on out we'll be looking at the buzziest moments from the day before, by sharing stats from digital marketing player 4C. For the games' opening weekend, today we'll look at the top 5 moments from Saturday and Sunday when it comes to combined social chatter on Facebook and Twitter. When Great Britain's Adam Peaty (below) broke the world record in the 100-meter breaststroke on Saturday, there were social media waves made—in fact, 211,033 likes, retweets, shares and mentions ensued. 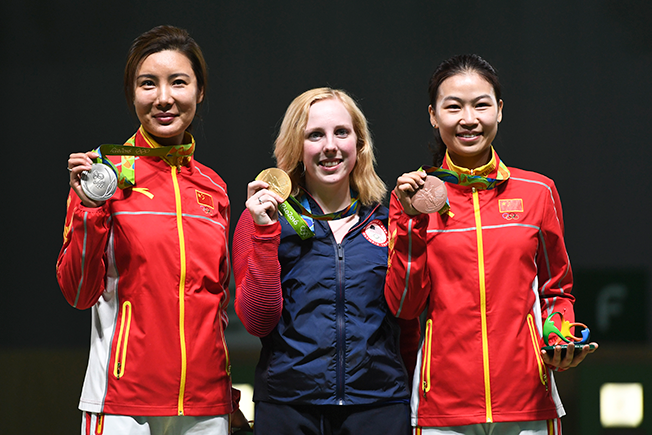 Nineteen-year-old air rifle shooter Ginny Thrasher (center, below) won USA's first gold medal by upsetting Du Li of China (left, below) in the final round of the sport's competition on Saturday. Folks on Facebook and Twitter responded 218,313 times with a social action. 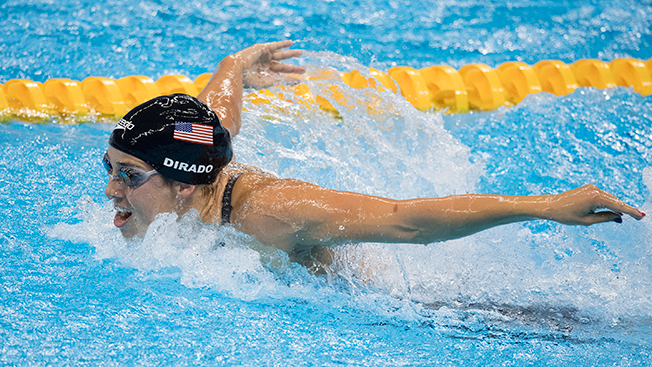 Swimming hopeful Madeline DiRado (below) was one of the buzziest Americans going into the games, thanks partly to the fact that the 23-year-old has stated plans to retire after Rio and go into management consulting. When she took home the silver on Saturday, Facebook and Twitter saw 241,621 engamements between the two platforms. Second-screeners were evidently at the ready just waiting for the Opening Ceremony to begin, because the start of NBC's broadcast in the U.S. was the second buzziest moment of the weekend, gaining 277,856 likes, retweets, shares and comments. Here's why the moment gained traction: The optics were often spectacular. 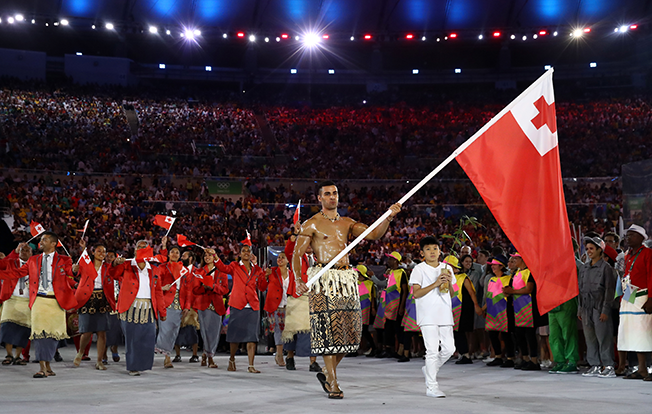 Overall, the entire Opening Ceremony was the social media winner of the weekend, despite the poor TV ratings. 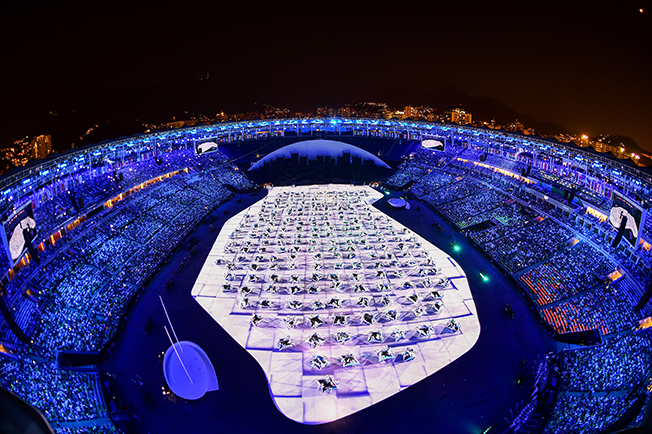 The four-hour extravaganza featured all of the Olympians parading through Rio's Maracana Stadium. It drew 291,474 social engagements. This development seems to be good news for brands who bought NBC inventory while syncing up Facebook and Twitter ads with the broadcast.